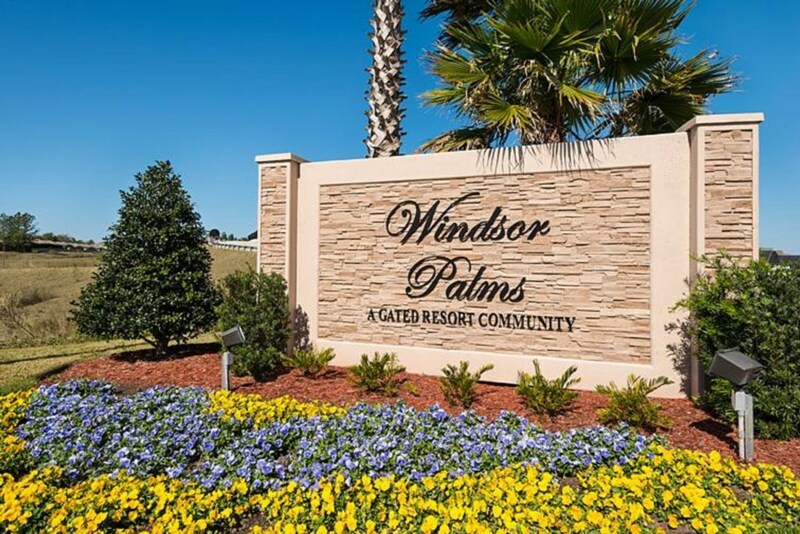 Welcome to Windsor Palms, one of Central Florida's premier resort communities. Although Windsor Palms is located just minutes from Disney and Orlando's many other attractions, you'll find peace, tranquility and space to relax the moment you pass through the resort's 24 hour security gate. Our villa offers luxurious accommodations for family and friends alike. Inside, the furnishings are a perfect balance of comfortable yet traditional design. South facing pool with no rear neighbors. Heating is available for a fee for those who want it. Free phone calls to mainland USA and Canada. 5 minute walk to clubhouse! Master Suite boasts a magnificent king size bed with private bath. A second Master bedroom suite has a queen bed. There is a Flat Screen TV in this room, It also has en-suite facilities of large walk-in shower, toilet & vanity unit. The third Bedroom with a Queen bed. It has a Flat Screen TV. The fourth Bedroom has 2 single beds . There is also a Flat Screen TV younger guests to enjoy. We have just returned to Ireland after renting this property.We had initially booked with another company, but when we arrived the house was not available. After searching we found apex vacation homes and booked this house. The house seems to have had a complete freshen up and is immaculate in all areas,the beds were very comfortable and clean all linen was in good condition and abundant.The pool area was super after trekking through the parks. We could not fault the property in anyway and would recommend it highly. Apex Homes were excellent at responding to questions immediately and made our holiday extremely relaxing and enjoyable,one thing were they went above and beyond their duty was our flight home was at 9pm and they let us stay on until mid afternoon which we are very grateful for. Thanks again and i know you will have plenty more 5star review in the future.